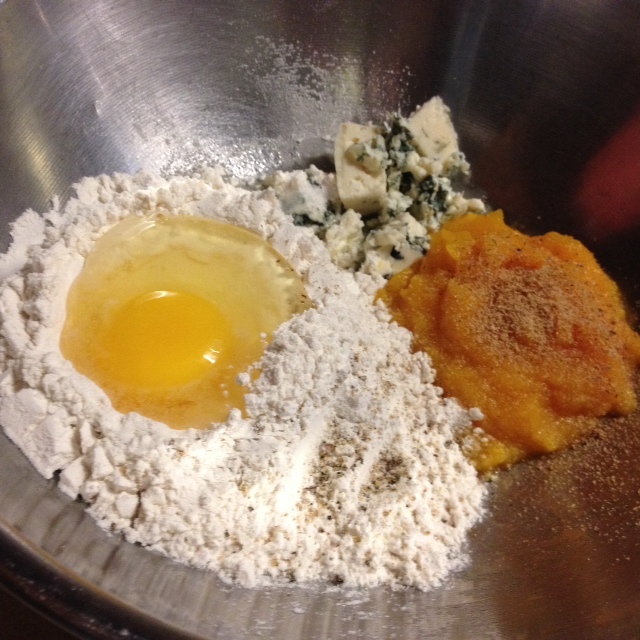 Memories of Thanksgiving dinner are revived with these tasty pumpkin gnocchi. 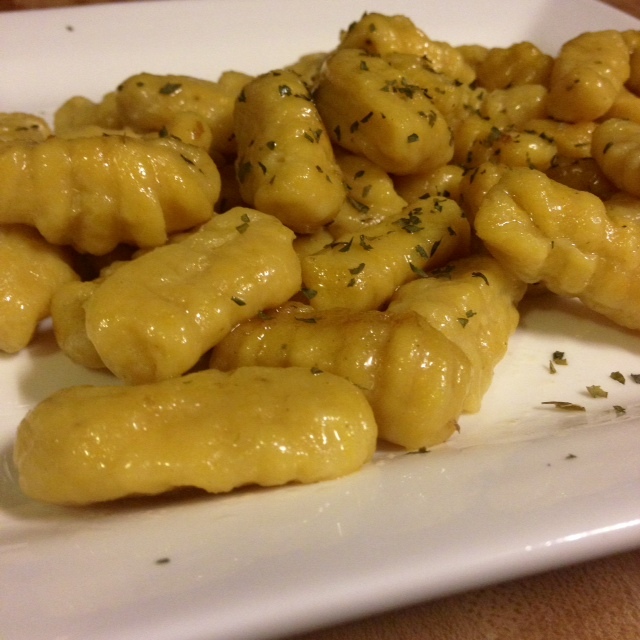 I like to make a glaze of butter and leftover gravy to sauté the gnocchi–which gives them a glistening appearance. Serve as a appetizer, or as a main course. Combine first seven ingredients thoroughly and knead into a smooth dough. Keep dusting the dough with flour, if necessary, to avoid sticking. 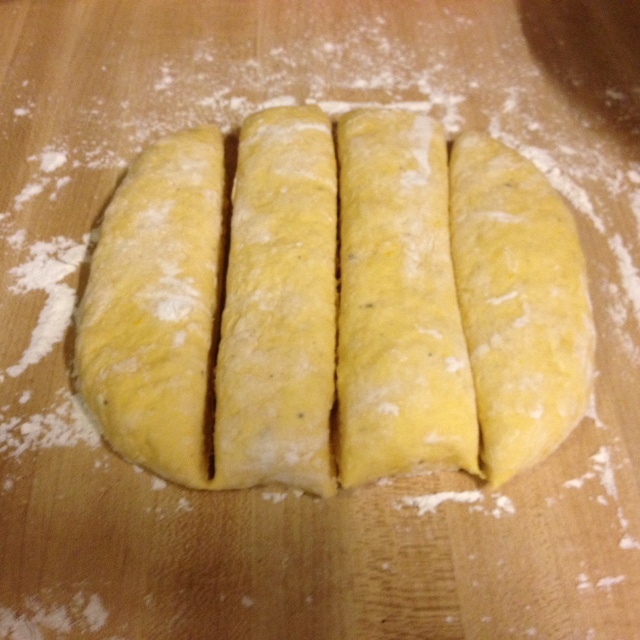 Flatten dough into a square and cut four equal pieces. Refrigeration at this point can help dough relax–important if the dough is sticky. I made two batches, and the one that rested overnight in the refrigerator was much more tender and light. Roll each piece of dough into a “rope” of about 1/2″ diameter. 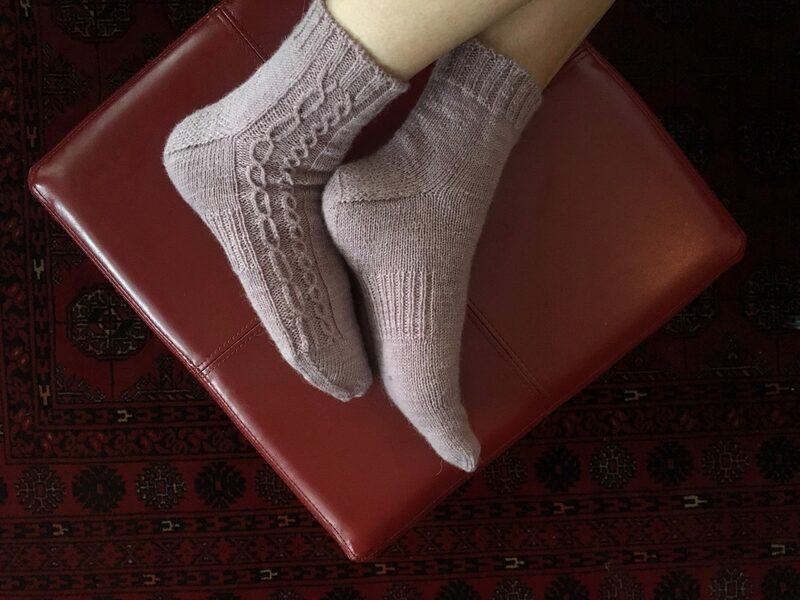 Cut 3/4″ pieces with a small knife. If desired, press each gnocchi onto the backside of a fork to create distinctive ridges, and set aside on a floured surface. Bring a large pot of salted water to a boil. 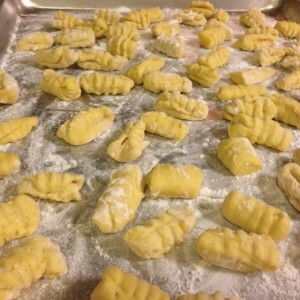 Add about 20 gnocchi at a time, stir to prevent sticking, and allow gnocchi to cook for 3-4 minutes. 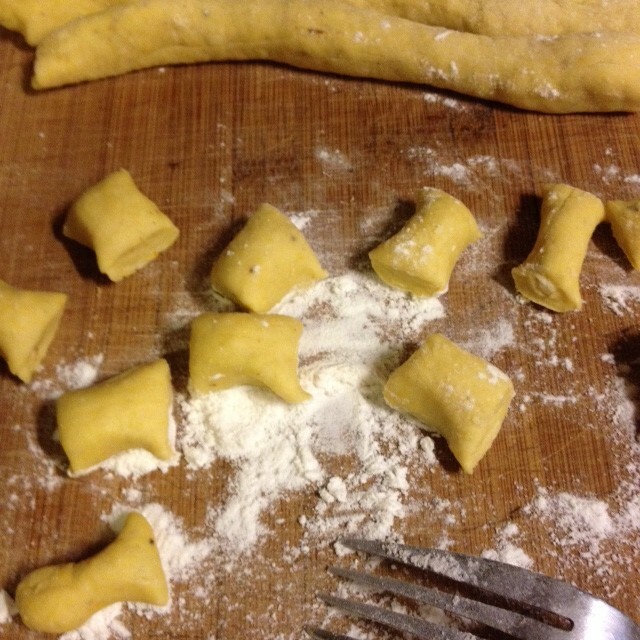 Pasta is done when it floats on the surface. Using a small strainer or slotted spoon, transfer gnocchi to a small sauté pan, in which you have combined butter and gravy. Sauté until golden brown and serve with a garnish of crushed sage or parsley leaves.